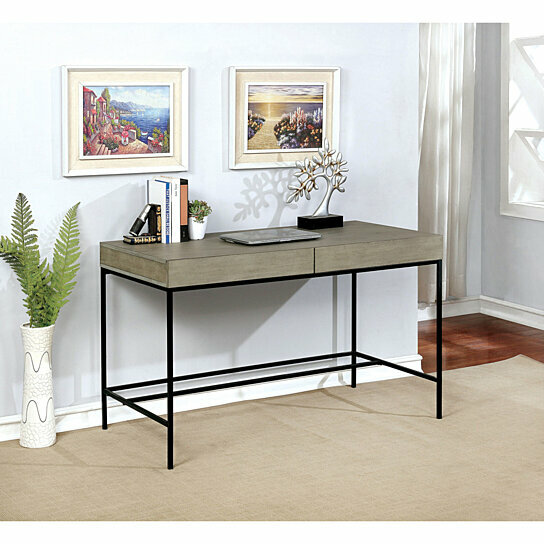 This desk is perfect to be added as a functional furniture piece in your home office or workstation area. It has metal framework with wooden table top featuring washed gray finish. This desk features two drawer compartments to help you in keeping your stationary and office supplies stashed away while working on your laptop. Its black metal frame giving sturdiness to the desk and save it from falling so that you enjoy your work without any obstacle. This desk can also used for office workstations.